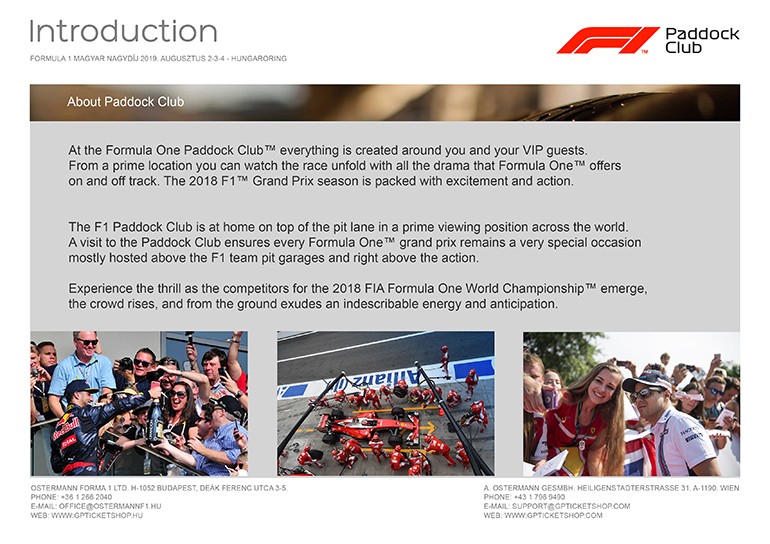 There isn't discount prices for children in case of Paddock Club tickets. Tickets can be bought for all children from the age 0. 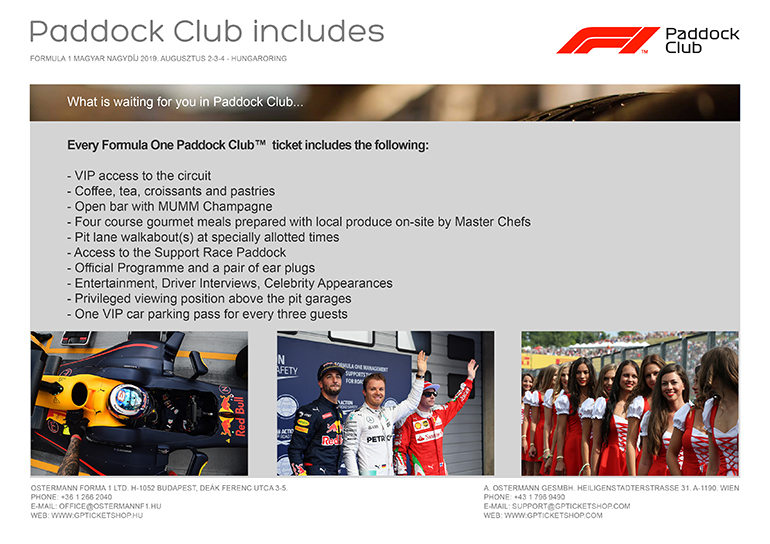 Children may only access the Hungaroring circuit with an adult! 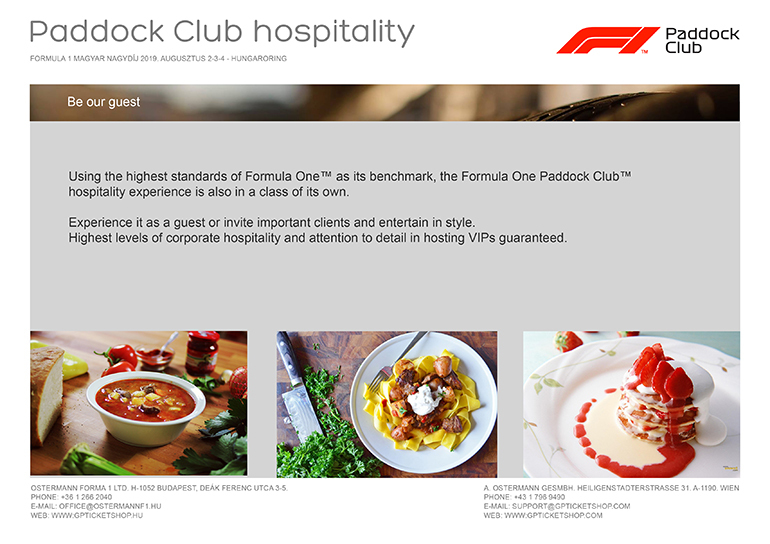 Paddock Club tickets can be picked up only directly in our office from 29 July to 1 August. We can't deliver them about the high value. For more information ask after phone or e-mail.